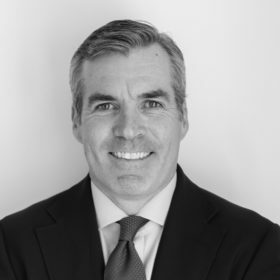 Kevin Madden is a partner at Hamilton Place Strategies, where he serves as an adviser and counselor to a client roster that includes the nation’s top corporations, business associations, industry coalitions, foundations and non-profits. With a record of over 20 years of experience operating in some of the most high-profile national debates—from Wall Street to Washington—Kevin leads HPS teams in the design and management of comprehensive, modern, and effective public affairs campaigns, working with CEOs and their executive teams to navigate today’s challenging media environment. Prior to his leadership role as a partner at HPS, Kevin served as a senior adviser, strategist and spokesman on three presidential campaigns from 2004 to 2016. In addition to his national campaign experience, Kevin was a top congressional leadership staffer in the U.S. House of Representatives, serving as spokesman and communications strategist in the Office of the House Majority Leader. Kevin also served as Deputy Director of Public Affairs and national spokesman for the Department of Justice. Kevin’s experience with today’s modern media, as a frequent guest on national and international cable and broadcast news outlets, has earned him a reputation as a sought-after media strategist and crisis communications manager. Kevin also currently serves on the advisory board of the Bipartisan Policy Center Action Network.